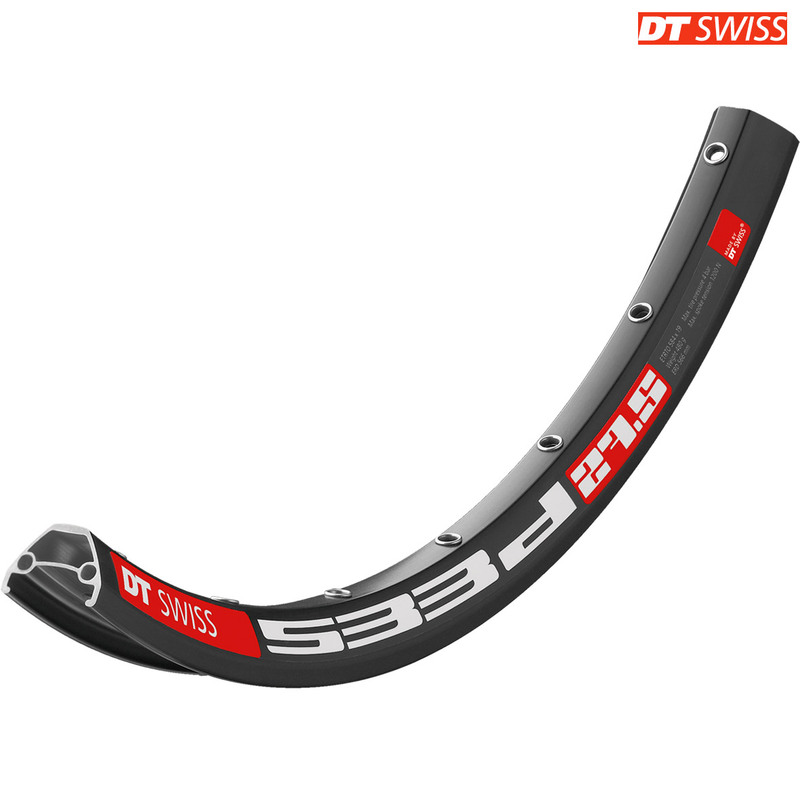 - The DT Swiss 533d is a competitively priced Enduro rim made to accommodate tyres up to 2.5 inches. - This Enduro rim is made to cope with whatever you want to throw at it, but is also light enough to make sure you aren't expending any unnecessary energy on the climbs. - The pin joint joining process, consisting of two steel inserts being form-fit pressed into the rim profile achieves a strong & precise rim profile. This rim can be tubeless ? Yes this rim can be used tubeless. Hello. On the DT Swiss website it states that the 29 inch version of this rim has an ERD of 602mm and a weight of 575. Is that correct or is it 539/520 (or is that the 26inch) as stated on your website? The ERD is indeed 602mm, it does look as though we copied the description from the 26" version across to this size as well. I have now updated our description to match DT Swiss' website.